Leonard Property is a London based business, which specializes in the quick purchase of property in London and throughout the UK through established partnerships in the housing market. If you need to sell property quickly in London, UK, we are the right partners to help ease all the stress and time consumption around selling your property. We carry out all transactions with the utmost integrity and act only in good faith, allowing you to be more relaxed, secure in the knowledge that we will handle your transaction in order to get the best outcome for you. People may need to move quickly for any number of reasons. These moves are at times unexpected and often unplanned. Even when foreseen and adequately anticipated, sellers are hardly ever prepared for the time allocation required to quick house sale in London, or elsewhere in the UK. This is where Leonard Property comes in. We ease your transaction regardless of the level of difficulty. Our long-term housing market experience means what may be a challenge for you as an individual, will be an easily solved problem for us as a company, which will offer you a secure and satisfactory transaction. Relocation: if you are moving to start a new job, live in a more suitable neighbourhood or reduce your commuting time. Must-have home: If you have found your dream home and need to sell your current home to make the purchase before someone else does. Repossession: If you are at risk of repossession and need to sell your home fast before you lose it. Divorce/separation: If you have ended a long-term co-habitation relationship and need to find a place of your own fast. Country relocation: If you are moving to a different country for work or preference and would like to sell your house quickly. Retirement security: If you are retired and need to sell your home to increase your financial security and move into a care home or live with relatives. Inheritance: If you have inherited property and would rather sell it than deal with the additional personal finance costs around use or maintenance. School: If you need to secure a place for your children in the right school. Illness: If you need to sell your house to cater for medical expenses. There comes a time in life that you need to move. You want to find a new place, maybe a house better than your current. It could also be that you need to move because of your studies or your job. Maybe you have inherited a property that you have no other use for except selling it. You are probably wondering how you can sell your property quickly and move on with your life. To every problem, there’s always a solution and sometimes a quick one. Leonard Property has done it before and we are not about to stop. We are a London based company that specializes in fast purchase of properties in the UK. If you are looking to make a sale as fast as possible, then you have found the right partner. You obviously do not have the luxury of time that other means of selling property demand. We know how difficult it can be to sell a property quickly in London. With Leonard Property, you can be rest assured that the transaction will take a short record time. Within 7 days, you will be smiling all the way to your next home, cash in hand. What’s more? We buy property at any condition, plus we take care of the legal fee and survey fees. You will also not need to get a HIP done, all this aimed at giving you the best property sale experience. Our business is to make sure you get the best value for your property. You can be rest assured that no hidden charges will crop up later. Honesty and integrity are key values that our experienced staff upholds. 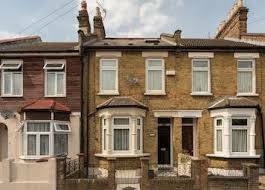 If you are looking to sell a house quickly in London, look no further. Leonard Property is your best option.